Willowood Sulfentrazone 4SC is a pre-emergence herbicide for the control of broadleaf, grasses and sedges in soybean, dry beans, peas, peanuts, and other select registered crops. 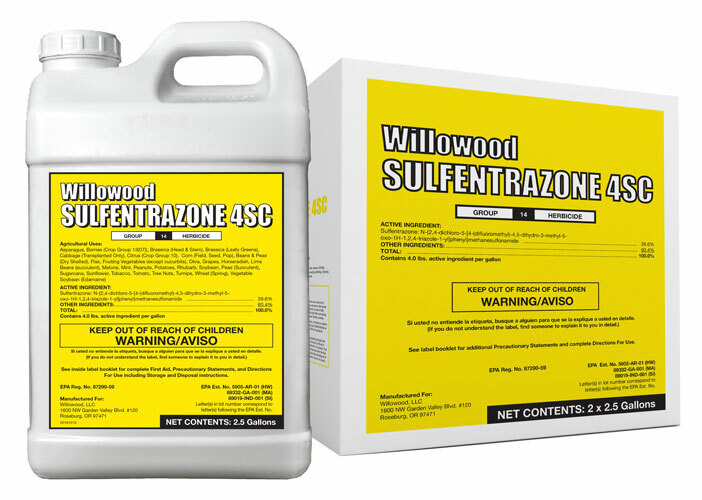 For specific use instructions refer to Willowood Sulfentrazone 4SC product label. Contains 4.0 lbs. active ingredient per gallon. AUTHORITY® and SPARTAN® are registered trademarks of FMC Corporation.